Mantis Productions specializes in all aspects of weddings, events and corporate video. Mantis Productions ensures to create beautiful cinematic videography for his clients through his unique filming style and high quality editing. Having completed a Masters of Professional Communications (Screen), specialising in Cinematography at the WA Screen Academy, Steve has obtained the appropriate training and knowledge that so many Videographers lack. 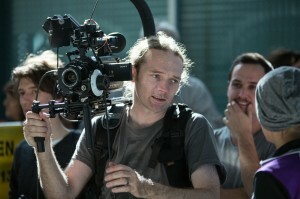 Steve’s expertise is apparent through his many film projects, documentary, corporate projects and events, and weddings. His Channel 9 award for Excellence in Cinematography for the short film, Water is evidence of this. Water, along with Emily Wasted – an interactive drama, were nominated in the 2015 West Australian Screen Awards and also the 2015 ATOM awards to be held in Melbourne in late November. Steve specialises in handheld cinematography. His style is dynamic and adaptive, capturing and enriching emotion through subtle camera movements. His “off the shoulder” hand-held style also enables Steve to work quickly and efficiently without interfering or obstructing photographers during Weddings. Steve has an easy going and friendly manner with an unobtrusive style that will candidly capture the true emotion and story of your wedding or project. Please contact Steve to discuss your wedding videography by completing the form or by calling Steve direct on 0439 780 082.